Several people took shots at Jonathan Givony of DraftExpress.com when he tweeted recently that Sacramento Kings guard Tyreke Evans is out of shape. Specifically, he talked about his weight, hinting that he didn’t exactly share any Thanksgiving stuffing with the rest of the family. 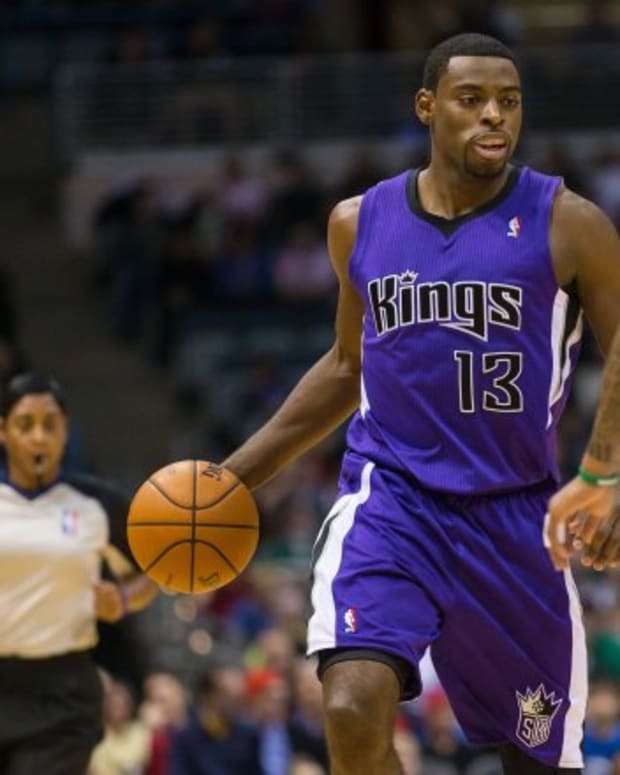 “Sacramento Kings fans wouldn’t be very happy with the shape Tyreke Evans is in if the season started today. At least 20 pounds overweight,” he tweeted. Well, some people didn’t like that. But, now CowbellKingdom.com writes that they would tend to agree, that Tyreke indeed looks like he got a little lazy during the lockout. Questions arose on Friday about Evans’ weight when Jonathan Givony of Draft Express tweeted that Evans appeared to be at least 20 pounds bigger. From what I saw, he looked bulkier, heavier with less defined muscle tone. But overweight? I can’t say exactly. We’d need a check of his body fat to make a fair assessment. Well, he’s got until Christmas to get in shape. There is still time. Lazy. Lee Evans to Join Arizona Cardinals?